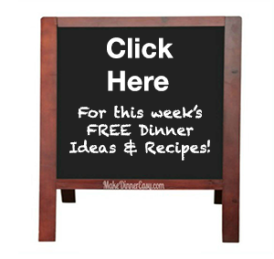 This is another segment in Make Dinner Easy's Cooking 101. Trying to figure out how to cook asparagus? Here you will find information on buying, storing, and preparing this vegetable along with easy recipes using asparagus. The first thing I do when buying asparagus is to smell the tips. I'm looking for a fresh scent, and not a sour order that can be the result of sitting too long in old water. 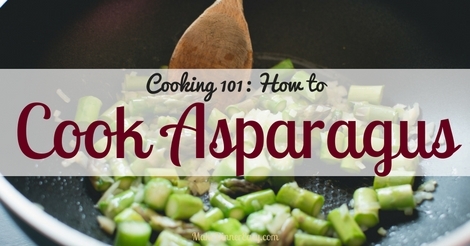 If the asparagus doesn't smell right, I just look for another vegetable to serve with dinner! In addition, look for firm stalks with tightly closed heads. It is a matter of personal preference whether you buy thin or thick spears. I personally prefer thinner spears as they don't need to be peeled and have less of a tough woody end. Asparagus will stay fresh if you treat the stalks like a bunch of flowers. I recommend cutting off about 1/4 inch off of the base, wrapping the base first in a damp paper towel, then wrap a small piece of aluminum foil around the paper towel. 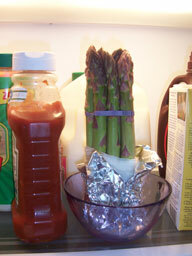 Then set the asparagus upright in the fridge in a small vase or tall bowl. To ensure freshness, you can even drape a small plastic bag over the tips. Every few days, add a few drops of water to the base. I have kept asparagus fresh in the fridge for up to a week using this method, while asparagus kept laying down in a plastic bag can get soft and smelly in just a few days. No matter how thick the stems, some of the base of each stalk should be removed. An easy method to determine how much to cut off is to use the snap test. This is done by holding the stalk end between two fingers of one hand, and the tip end between two fingers of the other hand. Bend the ends together and see where the stalk breaks; it usually breaks 1-2" above the woody end. This is about where you should cut or break the rest of the asparagus that you are cooking. Thinner stalks don't need to be peeled. Thicker stalks can be peeled if desired. If you want to peel the stalks, use a vegetable peeler and peel the bottom half of the asparagus so that is about the same diameter as the tip. Grilling - place asparagus that has been lightly tossed with oil, in a perpendicular fashion, on the grill (so they don't fall through!) for about 5 minutes, turning occasionally.